Identify the grounds upon which you intend to challenge the will. You may gather information necessary to establish grounds for contest by examining the will. If it contains an unexpected testamentary scheme or bequest, you may have sufficient grounds to challenge the will. For example, if the will maker left everything to someone she hardly knew instead of leaving her estate to her rightful heirs, such as family members, a probate court may conclude that these circumstances are suspect. Examine the will to make sure it's in compliance with Colorado's statutes. For example, Colorado's probate code states that a will must be made by a will maker, or "testator," who was of "sound mind," meaning she had the mental acuity to understand the significance of making a will at the time she made it. Furthermore, under Colorado law, a will must be signed by the testator and attested by two witnesses. If the will lacks these formalities, you may be able to contest its validity on these grounds. Fill out a will contest petition. Colorado law mandates that anyone challenging the validity of a will must explain any objections in a petition to the probate court. As a petitioner, you must state your relationship to the testator and include your name and address. You must also include in the petition the reasons why you believe the will is invalid. File the petition with the county probate court where the will has been admitted. After filing your petition, the court clerk may schedule a hearing with the judge. Make sure you attend the hearing and bring any evidence that supports your claim. For example, you may want to bring witnesses to testify as to the testator's lack of capacity or that the testator made her will in the presence of someone who might have pressured her to write it in the manner she did. The probate process is designed to ensure that only valid, accurate wills are enforced by court orders and as such, probate courts allow challenges to a will’s validity. State laws vary when it comes to the actual process for contesting a will -- as well as what constitutes fraud concerning a will. Alabama courts seek to ensure that a person's estate is distributed according to his wishes. 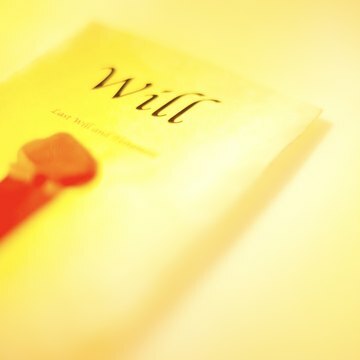 If the will does not reflect the decedent's wishes for any reason, such as cases where the decedent did not have the mental capacity to write his will, an interested person may challenge the will in either probate court or circuit court. A last will and testament is the final word of a deceased individual in which he directs the disposition of his assets. The will may be old and crumpled and found inside a drawer somewhere or in pristine condition in a safe-deposit box. Provided a will meets statutory requirements, it is assumed genuine until and unless challenged before a court. The probate court has jurisdiction to accept or deny a will presented for probate. What Does it Mean to Contest a Will?